OSCAR ADLER FAGOT MOD.1350 Bassoon for children. 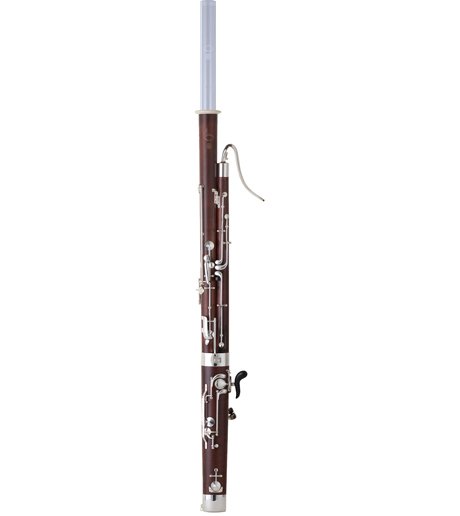 The Adler 1350 Mini Bassoon is normal in size; it features a flat body for lightweight playing. Instrument Specifications: Few keys 2 rollers 2 trill keys Real maple wood Silver plated mechanism Hand waxed (matly polished) Ergonomical finger distances Complete with balancer 1 crook 'O. Adler & Co.' Nr. 2 gigbag with rucksack sling system Cross strap Optional whisper key mechanism ÖN BİLGİ VE SİPARİŞ İÇİN MÜŞTERİ TEMSİLCİSİ İLE GÖRÜŞÜN.